A Dynamite High 5 Stars! Loved it! 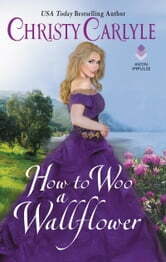 A Dynamite High 5 Stars for How to Woo a Wallflower by Christy Carlyle. This series just gets better and better! Clarissa Ruthven is a proper young lady who’s in quite a pickle, she can’t get her inheritance until she marries. She wants nothing of the sort, she’s an independent and self-disciplined woman who does not need a man in her life… or so she thinks. She spends her spare time volunteering at Miss Fisk’s boarding school for unfortunate girls. This is truly where Clarissa’s heart belongs, she loves these girls and wants to help them become something in society… however, without her inheritance, she can’t help them. In order to help earn money, she works at her family’s publishing company, there’s just one problem, her boss... He’s irresistible but he doesn’t like her… however, she soon changes his mind and he begins to fall for her. Carlyle’s writing is impeccable, she weaves a tale of such passion and add in interesting twists and turns that keeps one reading long into the wee hours of the morning. 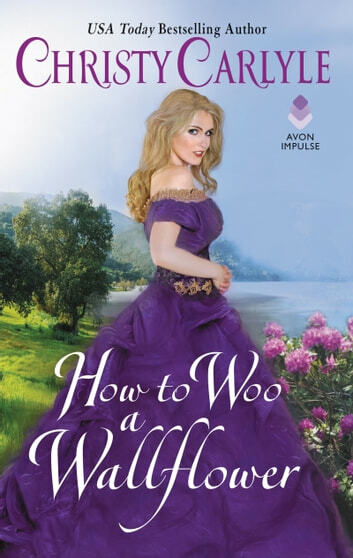 I absolutely loved this book and highly recommend it to any historical romance fanatic!